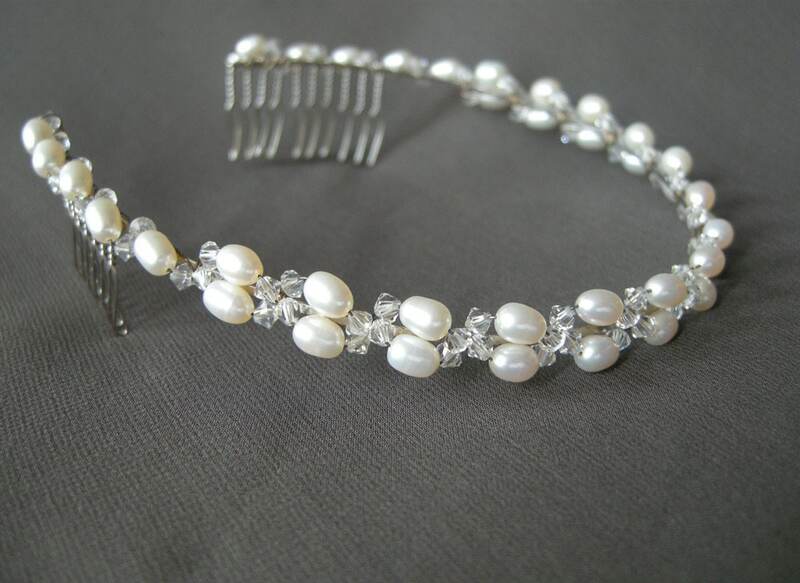 This beautifully simple headband is made using fine cultured freshwater pearls and Swarovski crystals. 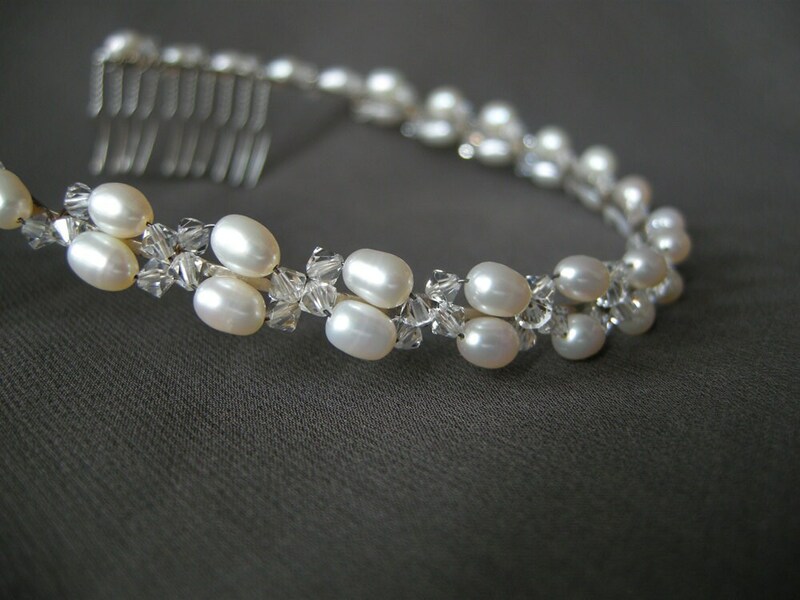 The band starts off with a single strand of pearls and crystals that gradually turns into a double strand. 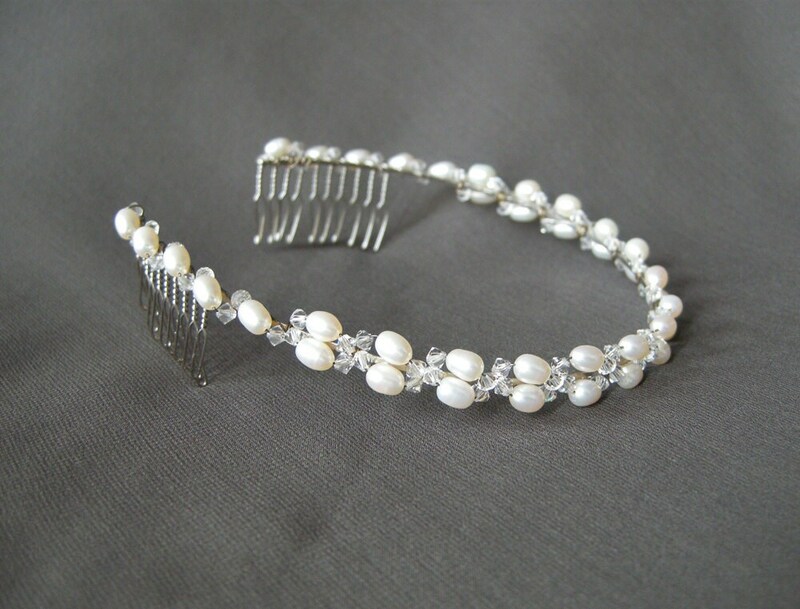 The width of the headband measures about 3/8" wide. 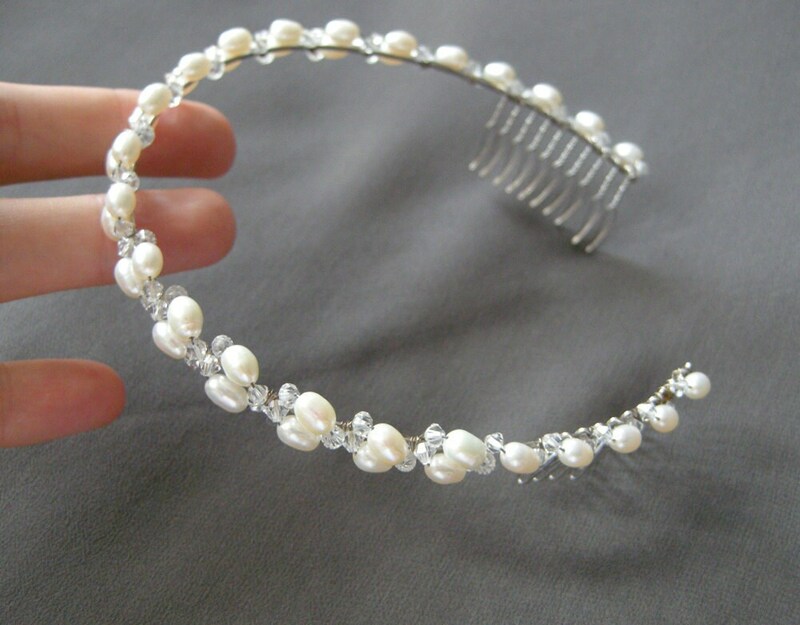 This headband is light and flexible.